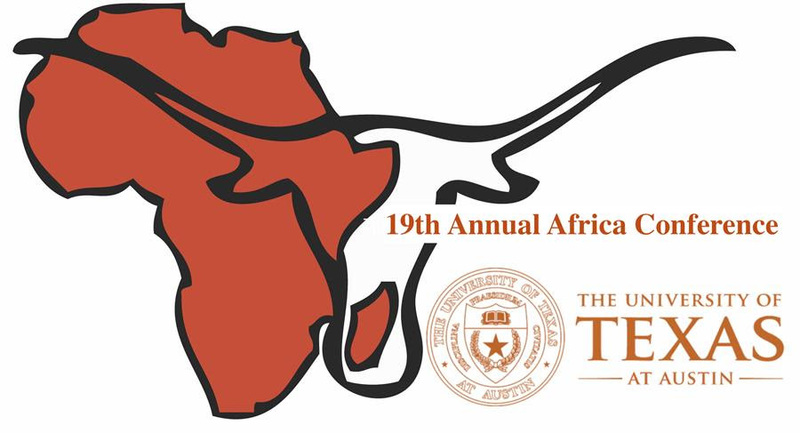 Theme: Reflecting on the World in Africa and Africa in the World: Originality and Innovative Practices. 1. The design and functioning of the paradigms of originality, invention, and creativity both inside and outside the continent. 2. The dynamics surpassing the original-copy dichotomy conveyed by the notion of originality: concepts of recycling, hybridity, transculturality, adaptation, decentering, mutation, migration, etc. 3. The particular cases illustrate the original or innovative nature of practices in specific disciplinary and/or cultural arenas. Deadline for proposal submission: December 1st, 2018. Join scholars from across the globe. Submit your abstract and join in this scholarly conference. Subjects may include, but are not limited to: literature, demographics, history, politics, economics, education, health care, fine arts, religion, social sciences, business and many other subjects. Abstracts, not to exceed two (2) pages, should be submitted that relate to any aspect of the African and African American, Hispanic and Latino, Native American, Indigenous Peoples or Asian experience. Deadline for proposal submission: November 10, 2018. Africa’s intertwined historical trajectories signals at the imbricated nature of identities in the continent. At the same time, the politicization of different identities for the mobilization of diverse population groups adds another dimension to this complex terrain. 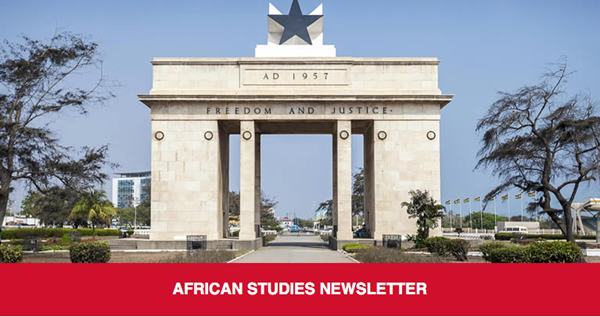 The 2019 Africa Conference intends to critically examine the highly intricate and contested processes of identity formation and its significance for African societies. Furthermore, the conference will engage with discussions on identities that are intimately linked to notions of African diaspora across the Atlantic, the Mediterranean, and the Indian Ocean. The primary aim of the conference is to reflect on the varying and varied forms of social practices and processes through which identities are constructed, contested, negotiated, and reconfigured in relation to one another. AIMS Research is currently looking to recruit data science chairs: In partnership with the Carnegie Corporation of New York, the African Institute for Mathematical Sciences (AIMS) is offering promising emerging African data scientists of at least postdoctoral standing, attractive career opportunities at its pioneering Quantum Leap Africa (QLA) Research Centre in Rwanda. Two outstanding African data scientists in or from the diaspora will be given the opportunity to establish research teams of their own at QLA via the AIMS-Carnegie Research Chairs program in Data Science and its Applications. The AIMS-Carnegie Research Chairs program in Data Science and its Applications has equally been designed to recognise outstanding talent and creative research approaches in data science with exceptional conditions. (i) With an award amount of at least one million USD each, the incumbents receive valuable starting capital to spend five years pursuing an innovative research project at QLA. This is without administrative constraints as they will be supported by an excellent administrative team which will allow them to focus on their research. (ii) The establishment of their own research team and possibility to initiate and implement a diverse number of research activities will enable the chairs to lay an important foundation for a promising academic career at a very early stage. Open to Project Requests from all disciplines. See website for more information or email africandiaspora@iie.org with questions. Professors Erin Baines and Pilar Riaño-Alcalá (The University of British Columbia The Liu Institute for Global Issues and The Peter Wall Institute for Advanced Studies). Does studying Africa also mean that you care about and want to help in Africa? If so, we need you! Want to volunteer abroad or work abroad? Great! NGOabroad provides affordable, customized volunteer abroad programs and helps people enter or advance in working abroad in humanitarian work. Aiming to go into international development? We offer key career services: career coach / career counselling; and resume builder and cover letter tips. Our international volunteer opportunities and international internships have more depth because they tackle the pressing challenges of our time. So our emphasis is skilled volunteering for student volunteers & professional volunteers. We also have Gap Year programs. Come see the world, and serve the world! These are volunteer opportunities. Applications are accepted on a rolling basis. Both students & seasoned professionals needed. DEMOCRACY BUILDING: Kenya – Constitutional Law, Peace, Human Rights & Democracy Building This organization was born after the election violence in 2007. Individual Research Grants The African Peacebuilding Network (APN) of the Social Science Research Council (SSRC) invites research grant applications from African researchers, policy analysts, and practitioners working on conflict and peacebuilding issues at universities and research institutions; or regional, governmental, and nongovernmental agencies or organizations in Africa (up to $15,000). More information about this grant can be found here. Book Manuscript Completion Grants The African Peacebuilding Network (APN) of the Social Science Research Council (SSRC) invites letters of interest from Alumni and current grantees to transform their APN projects or related peacebuilding research into publishable book manuscripts (up to $10,000). More information about this grant can be found here. The deadline for applications is January 5, 2019. If you have any questions, please contact APN staff at apn@ssrc.org, or by telephone at (+1) 718-517-3669. You’ve heard about Cleopatra, but have you heard about the formidable Kushite Queen, Amanirenas? She defended her land against Roman invasion, burying Octavian’s statue where Romans were sure to walk all over it when entering the Kingdom of Kush. There is so much to learn when it comes to African history – from the vibrant land of Kush to the thriving empire of Benin, there is so so much to learn. 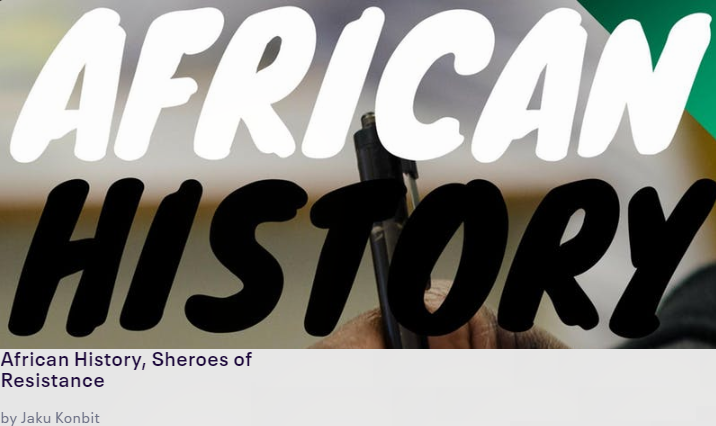 Come join in our African history workshop as we learn about and discuss African female heroes with African and African American Studies scholar, Dr. Clyde Ledbetter. This event is sponsored by Jaku Konbit, in celebration of the International Decade for People of African Descent (2015-2024). The general public is cordially invited to the second conference of our twelfth scientific year of CERCLECAD 2018/2019. The erudite and emancipatory strategies of CERCLECAD as a winning alternative will be given and moderated by Professor Benoît AWAZI MBAMBI KUNGUA, President of CERCLECAD. Where: Senate Chamber, Room 083 (basement of Tabaret Hall), University of Ottawa, 75 Laurier Avenue East.